This very special debut hand-bound chapbook by an up-and-coming poet explores the many roles we have, especially in our families, such as mother, partner, lover, daughter, sister, and the tensions within and between them. Circling through time, with snatches of stories and memories, these poems make the personal universal and, at times, mythic. 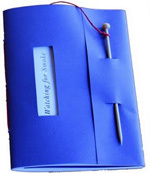 Each copy of Watching for Smoke is unique – hand-crafted, hand-bound and fastened with a (recycled) knitting needle. There is a limited edition of 100 numbered copies. Helen Heath lives in the sea-side village of Paekakariki, on the Kapiti Coast. In 2009 she completed an MA in creative writing at Victoria University. Her poetry has been published in many journals in New Zealand and Australia. 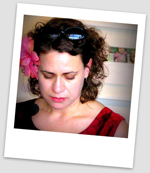 She blogs about books, writing, craft and other things at http://www.helenheath.com/.